News broke this week that Sony Pictures has picked up the rights to the '80s sitcom, ALF, so that it can develop a new CGI=hybrid ALF movie, ala the Smurfs. Same director of the Smurf film and everything. I found the show mildly amusing back in the day, but I caught a few episodes of this recently and man it's not aged well. Also, wasn't he (spoiler alert!) captured by the military in a rather depressing unresolved finale? No word on whether it's a retelling of the ALF story, or further adventures of the furry alien after he someone escaped from military jail but you know what? Who cares either way? Because this little slice of the '80s can stay in the '80s as far as I'm concerned. 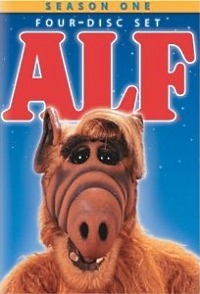 Anyone a super huge ALF fan and excited by this news?